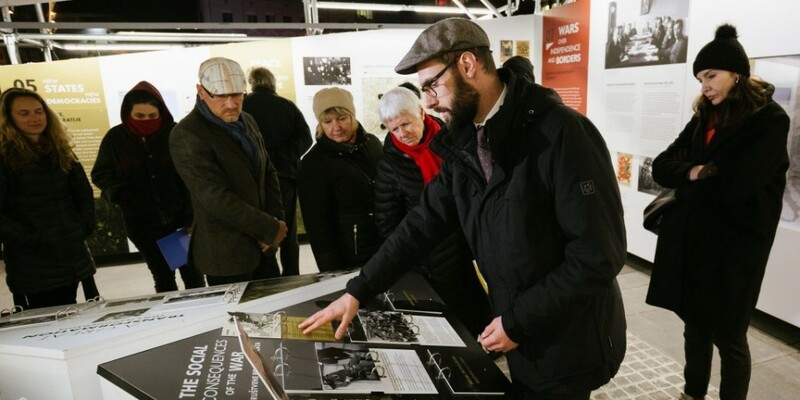 A travelling outdoor multimedia exhibition dedicated to the Great War and its aftermath, “After the Great War: A New Europe 1918- 1923”, officially opened in Sarajevo on 19 November. A travelling outdoor multimedia exhibition dedicated to the Great War and its aftermath, “After the Great War: A New Europe 1918- 1923”, opened in Sarajevo on 19 November. For symbolic and historical reasons, Sarajevo is the second city hosting the exhibition, prepared by the European Network Remembrance and Solidarity, in cooperation with historians from over a dozen countries, in an effort to synthesize the turbulent beginning of the interwar period with a focus on Central-Eastern Europe.